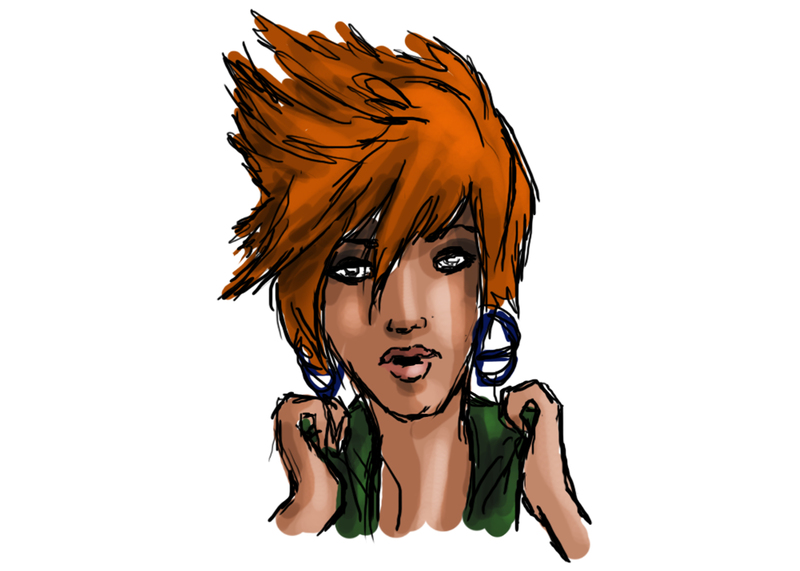 So I decided that it is extremely fun to draw gingers. That wild orange hair just scrams at you doesn’t it? Especially next to a gorgeous green. If I had red hair, I would definitely have most of my wardrobe in green. As it is, I wear every color but yellow (it just doesn’t work with my skin-yuck). I did just a quick portrait today. I have a couple more sketches in progress that will go up tomorrow, so keep an eye out for some more figures. I’ll keep today short and sweet, and to all of those gingers who are reading this, I suggest you buy some green.